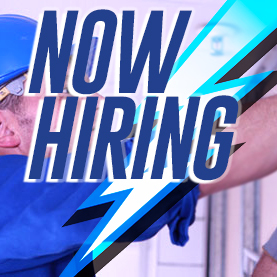 Electrical Journeyman : Immediate openings for experienced commercial/industrial journeymen. Pay rate will be DOE, between $25.00-40.00/hr. MSC Electrical is a veteran operated contractor seeking energetic and hardworking individuals for full time, permanent positions. We provide a safe work environment, competitive wages, benefits package to include 401K, health insurance, dental/optical and paid vacations. Must have valid, up to date Michigan Master or Journeyman license. Ideal candidates have experience in running job sites, good communication with customers and project managers, leading and training apprentice electricians, manage multiple crews and able to maintain materials ordering and work orders. Candidate will need to have a valid chauffeur’s driver’s license and have the ability to work weekends and evenings, when required. Experience with all of the general electrical requirements of a commercial or industrial client is a must, experience with primary service terminations, machine tool and troubleshooting skills are a plus.